Building your home is one of the unique ways of getting your Lake Tahoe dream home. This way you have everything you want and where you want because you helped design it. We want to help you know the regulations regarding building in the Tahoe area that can make it somewhat difficult. 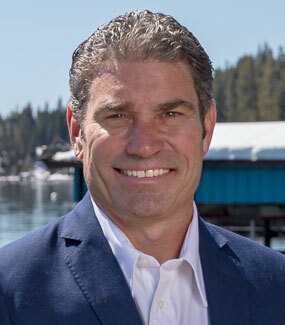 Restrictions on new construction and mandated upgrades for existing homes are in place for preserving, protecting and enhancing the unique natural and human environment of the Lake Tahoe Region. The building department requires regular permits to build on a vacant parcel. Permits run from $60,000 – $70,000 depending on the size of the home and new construction can only be done between May 1 and October 15 due to the severe weather we face in the Lake Tahoe area. Both an allocation and a development right is required to start construction. Allocations allow an owner to submit plans for new construction to be approved and started. The Tahoe Regional Planning Agency (TRPA) uses 2 main tools to determine whether a vacant lot is buildable and if so how large that building can be. The first tool is the Environmental Improvement Program that implements restoration projects to heal past damage to the basin’s ecosystem. The second is the Regulatory Program that works to minimize the impact of developed properties on the watershed. In Placer County the score has to be 726 or above for the lot to be buildable and in El Dorado County it has to be above 1. You can purchase points if your property is within 10% of the cutoff number. For example, if your lot has a score of 716 you need 10 more points to be able to start any construction, points are available at $672 per point up to the cutoff number. This is part of the IPES Limited Incentive Program. Annual evaluations are done for each jurisdiction to see how much work has been done towards protecting the environment in which ipes scores can then go up as well. Coverage is also something the TRPA determines for Lake Tahoe homes, the allowed amount of ground you can cover with your house, driveway, decks, etc. If your coverage is not enough you can also purchase more: up to 20% of lot size or up to 1,800 SQ Feet. Coverage is hard to purchase as there isn’t much available for any of the counties at this time. Please find additional sources for information on building in Lake Tahoe below.